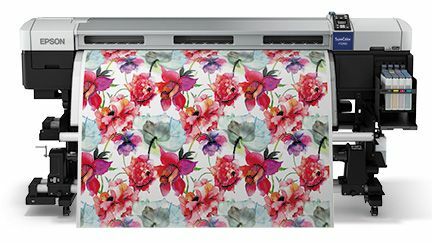 The SureColor F7200 is ideal for fast, economical short- to-medium volume dye-sublimation transfer printing, at speeds up to 634 square feet per hour and widths up to 64-inches. Developed using the latest advancements in performance imaging, this innovative system includes our exclusive PrecisionCore™ TFP® print head, an integrated roll-to-roll media support system with high accuracy winding, and our latest dye-sublimation ink technology - Epson UltraChrome® DS with High Density Black. Printer comes with one year limited on-site warranty with product registration. For details or product registration, visit (http://www.onlineregister.com/epson/app/). 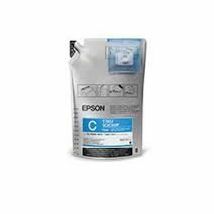 Registration also enrolls the printer in Epson's loyalty program. 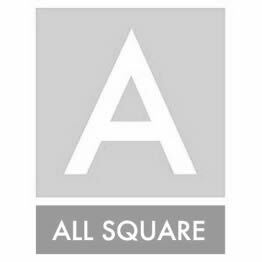 Registration also entitles customer to purchase an extended on-site service plan at a favorable price, plus use loyalty points against the purchase. Coverage is for one year or two service calls, whichever occurs first. Up to two plans may be purchased, for a maximum total coverage period (including warranty period) of three years. 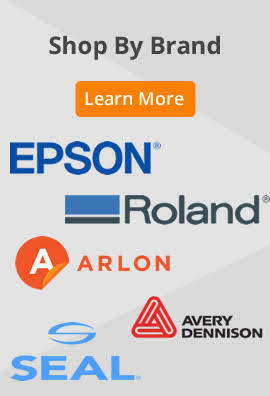 Epson offers fee-based parts and labor service for problems not covered under warranty or extended service. Please be aware that the fee for a print head replacement may greatly exceed the cost of an extended service plan. 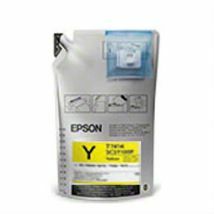 To ensure availability of replacement print heads for our loyal F-Series users, Epson will not make print heads available to parts distributors or servicers generally. Maximum roll diameter	Up to 9.8"
Input roll media weight	Up to 90 lbs. Output Roll Media Diameter	Up to 11.8"
Media Winding Accuracy	+/- 5mm or 0.19"
The printer is designed exclusively for use with EPSON ink packs for greater reliability. (A) Print speeds are engine speeds only. Times shown for paper size 64" wide. Total throughput time depends on workflow configuration, paper type, RIP, file size, print resolution, ink coverage, networking, etc. 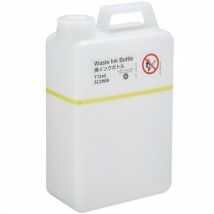 (B) Ink supply tank yields vary considerably based on images printed, print settings, paper type, frequency of use and temperature. 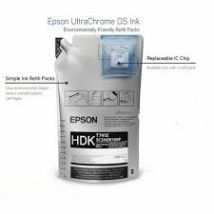 For print quality, a variable amount of ink remains in the tank after the "chip unit expended" indicator comes on. 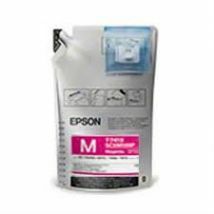 The printer ships with four 1-Liter packs (ink and chip unit), one of each color and part of the ink from the first packs is used for priming the printer.